I had an exchange of opinions with an Irish web site jeweller who complained about the low prices in Antwerp resulting in his opinion only from dishonest merchant practices. Although I fully agree that yes indeed there are lots of sleazy merchants, everywhere in all the major capitals of the world, that does not explain everything. I told him that not all store owners are little devils but neither are all customers little angels ! We have a policy of never intervening on forums simply because we believe that intelligent readers will be able to make the distinction between honest comments and low character people, vile posts by unscrupulous merchants asking friends to pose as fake customers. Notoriously on Tripadvisor! We’ve been lied to, cheated, robbed, disrespectfully treated, insulted by idiots and racists. Attempts of blackmail by dishonest, low character people.Swindlers who pretend to be solicitors sending e-mails with illegal contents.Criminals proposing some money laundering schemes for millions of dollars. Stolen credit cards, fake identities, counterfeit bank notes. Stolen goods being offered for purchase by thieves. There isn’t a month that goes by without someone trying to lure us into some scam. Anyone out there with bad intentions be warned, we are experienced! Luckily, the vast majority of people are honest, reliable people. In fact you see, we have lots more to fear than you ever will as we’ve never ever, treated any of our customers in such despicable ways. Quite the contrary, we’ve earned a rock solid reputation for reliability and honesty. You expect to be able to trust us and so do we as we entrust our hard earned reputation into the hands of any stranger who rings the bell at our door. 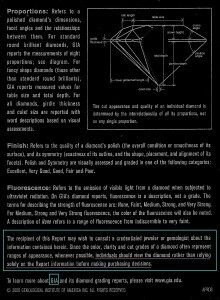 The fifth “C” on the diamond quality chart is called “CONFIDENCE” an expression introduced by my respected colleague Eddy Vleeschdrager, a world famous diamond expert, author of many books on diamonds and precious stones. 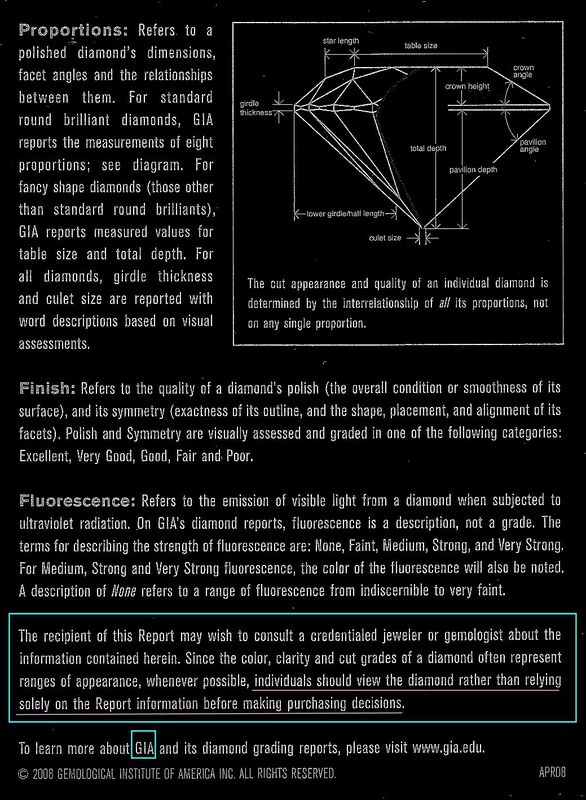 The most important issue in the selection of any diamond isn’t the paper certificate but the relationship build on TRUST! But what should we expect from you ? An open exchange of information, don’t say “I don’t know” or “let’s go for coffee” or “what time do you close today” or “what time do you open tomorrow” but tell me what you really had in mind ( real budget, real expectations ) we can only help provided you really want to be helped. Respect for people’s work, don’t try to steal ideas, listen to objective advice and don’t pretend to know more about our profession just from some Chinese web sites’ unreliable information resulting from a lack of TRUST.